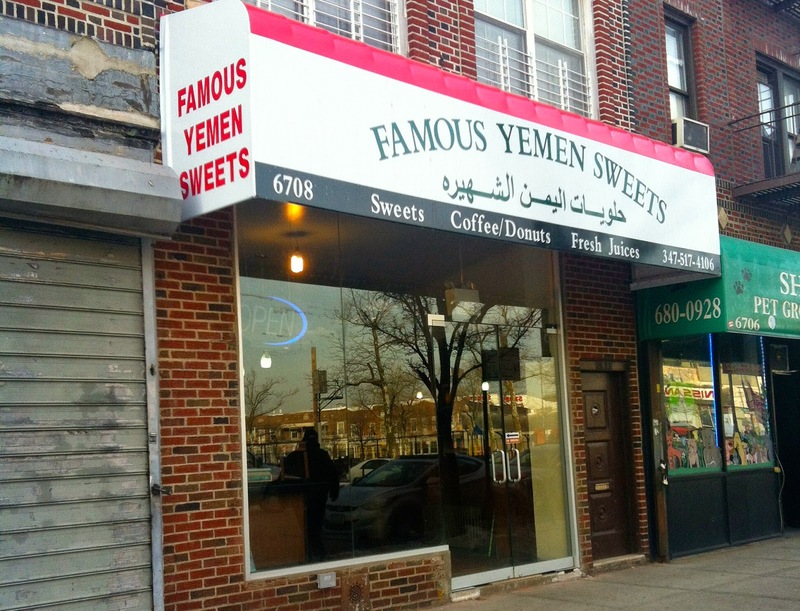 Famous Yemen Sweets is a new addition to the Bay Ridge area and just opened last week! We were having lunch at Yemen Restaurant and learned that this dessert shop next door just opened! They are very kind here and let us try all the different sweets and even gave us some coffee. They feature the traditional Yemeni harissa dessert, a chocolate peanut flour mush that is very yummy! They also have halwa and some other candy-like items that I can only describe as something between Turkish delight and gummy candies. The kind Yemeni man working there when we visited said they also plan to have fresh juice in the future. I really hope it happens soon! In the mean time, they serve some very light Arabic coffee. This is definitely a spot to go to if you want to try something really new and also very authentic. There is seating inside the bakery where you can sit and enjoy the coffee and sweets. The sweets are $5.99 per pound. i like this food so much.